Fire and freezing cold are potentially fatal for refugees, but they are dangers which could be over due to 'emergency sensor' startup Kwik Response's solution which won the Innovating Response hackathon in Beirut. 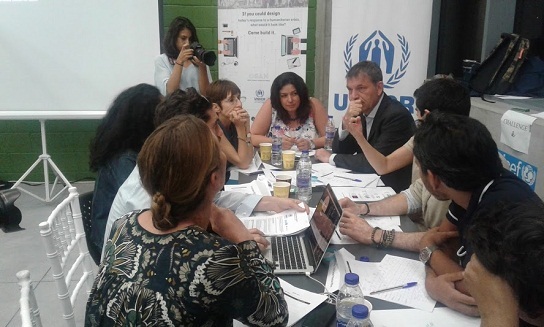 The hackathon, which was held over the weekend from June 3-5, was organized by the Open Source Action Network (OSAN), in collaboration with organizations including UNHCR, UNOCHA and UNICEF, ArabWIC and others. Kwik Response would see refugee tents fitted with a board of five sensors that could detect fire, freezing temperatures, flooding and structural instability, to help NGOs detect emergencies. 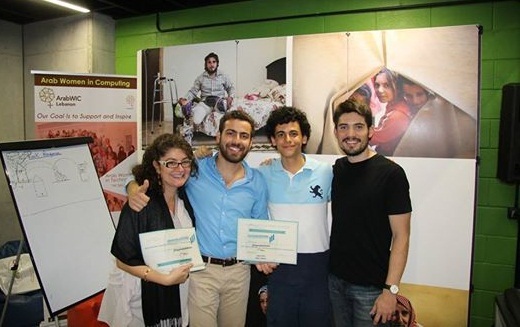 They won $3,000, a 12-month stay at the Beirut Digital District coworking space, and mentoring. Cofounder George Najjar said the collectives which run each refugee camp would be connected to an online platform which would alert NGOs and service providers via SMS about emergencies. 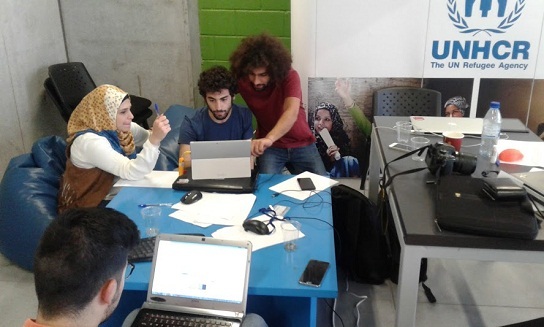 OSAN founder and hackathon organizer, Mike Clarke, developed a Facebook chatting box called Sadiki which, after winning first place at the NYUAD International Hackathon for Social Good in the Arab World 2016, is now being tested by Beirut’s UNHCR team. “It was during the testing phase in April that we started talking with [the UN] about the many issues that Sadiki can’t address alone, like health issues and structural support and jobs and such. So we came up with this hackathon,” Clarke said. Looking for solutions to issues that arise with the growing number of refugees in Lebanon, which surpassed 1.5 million at the end of 2015, is something the UN is keen to highlight. UNHCR communication officer Matthew Saltmarsh told Wamda that what started out as a short term relief response six years ago now needed long-term solutions. The hackathon featured 12 teams who worked to solve nine challenges set by the UN agencies present. These included real-time monitoring of living conditions (as addressed by Kwik Response), developing platforms that foster communication and feedback between the refugees and NGOs, and online learning programs. The Proceed team pitching to the judges. Kwik Response will have one year to develop their idea before approaching the UN and other NGOs for a partnership. Winner of the second prize of $2,000 was Silah App, a social network that would bridge the gap between the skills, professional and manual, of refugees, with nearby jobs and demands, and trade items like clothes and food. The financial model for this app would be the collation of the ‘semantic analysis’ which could then be sold to NGOs. Jaleesa: An app that teams up Syrian women of working age with Lebanese working mothers who need babysitters, for a fee of $15 per hour. Bab: An app that matches the skills of refugees with available nearby jobs, and allows people to donate clothes and items during winter. LouKahi (My Vaccine): An app that notifies refugees of the vaccination dates of their children after they upload their birth dates, and gives directions to the nearest hospital. VaxyNation: Another vaccination app that keeps track of refugees’ phone number and reminds them of the vaccination dates of their children. Aidee: Similar to VaxyNation, this app relies on face recognition and allow phone number sharing among refugees. $a3edni (Help me): An app that educates refugees on how to manage the online accounts created for them by the vouchers they receive from the UN by using simple visual aides. Bayanati: A phone number tracking app for refugees. I3ana group (Assistance): An app that keeps track refugees' constantly changing phone numbers by offering them a financial incentive. AMAN (Safety): An offline app that receives emergency notifications in refugee settlements, and links refugees with nearby NGOs that provide the services needed at the time (such as food, blankets, fire extinguishers). Proceed: An educational app that relies on gamification to teaches children subjects including English and life skills such as hygiene and safety. Members of The Silah team. The continuing refugee crisis of the region has meant more people looking for more solutions that involve tech. 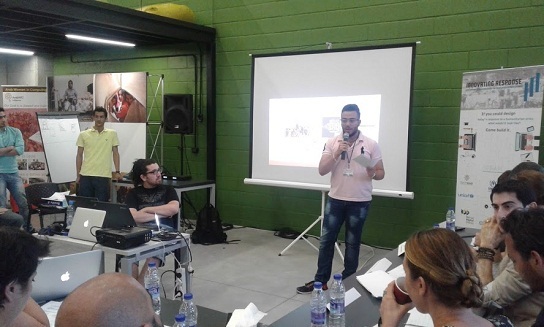 In May 2015 the Techfugees Lebanon Chapter, in coordination with The Nawaya Network, Altcity and UNICEF, organized a conference in Hamra, following a larger conference held in Paris last March, to discuss how tech solutions can help in solving the refugee crisis. The international organization working with Syrians to provide them with scholarships and career development options, Jusoor, has organized several annual entrepreneurship competitions for Syrian Startups at BDD, the most of recent of which being its Jusoor Entrepreneurship competition 2016.